A judge who could "decide Trump's fate" previously served as senior counsel for Democratic Sen. Patrick Leahy (Vt.). The Daily Beast reported Wednesday that Beryl Howell, who was appointed as a federal judge by President Barack Obama in 2010, signed off Mueller's request to form a grand jury that will seek to gather documents and question Trump associates. Howell's role could become "far more active," the Daily Beast reported. The grand jury could potentially put together a report that could start impeachment proceedings that would have to be signed off by Howell before becoming available to Congress or the public. Howell served as senior counsel on the Senate Judiciary Committee for Democratic Sen. Leahy from 1993 to 1996 and then became the committee's general counsel from 1997 to 2003. 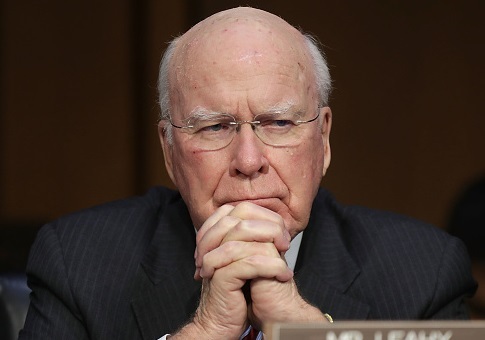 "Even though she worked for Democrats on the Senate Judiciary Committee, she’s been very straight-arrow as a judge and she wouldn’t be impaneling a jury for the heck of it, or anything less than there being ample justification for it," a former lobbyist, referring to Howell’s work for Sen. Leahy, told the Daily Beast. "She’s like Mueller: He wouldn’t ask for it unless he had more than enough evidence to justify it, and she wouldn’t have granted it unless he did." Howell was a registered lobbyist with Stroz Friedberg LLC, a D.C.-based firm that focuses on cybersecurity, from 2003 to 2009 and lobbied on behalf of the Recording Industry Association of America and Universal Music Group during her time with the group, according to Legistorm. Howell donated to Leahy's campaigns during this time period. Last year, Howell delayed the full release of Hillary Clinton-related records until after the election. The Republican National Committee (RNC) requested documents related to functions and guest lists during Clinton's tenure. The RNC asked for all 1,600 pages of records by Oct. 15, 2016, but Howell gave State until February 2017 to produce the records. Howell did not return a request for comment on her previous work for Sen. Leahy by press time. This entry was posted in Issues and tagged Clinton Email Scandal, Patrick Leahy, Robert Mueller. Bookmark the permalink. Joe Schoffstall is a staff writer for the Washington Free Beacon. Previously, he spent three years with the Media Research Center and was most recently with the Capitol City Project. He can be reached at Schoffstall@freebeacon.com. His Twitter handle is @JoeSchoffstall.